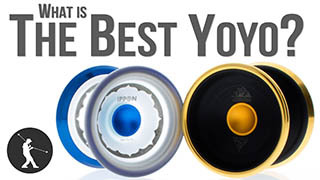 Learn what the best yoyo is for you in the 2014 Winter-Spring edition of the Yoyo Buyer’s Guide. This is the 2014 Winter-Spring edition of the Yoyo Buyer’s Guide for YoYoTricks.com, if there is a newer buyer’s guide there will be a link right here on YouTube for you to click, and on YoYoTricks.com on this video we will put a link on the top of the Video Transcript that will take you to the newer video. Throughout the video we will put links in the same two places anytime we refer to a product. In this video all we really want to do is answer one questions, and that is, What is the Best Yoyo? We know that when we ask questions like “What is the best?” it is really just a matter of opinion, so this video is just our opinion about what is the best yoyo for you. We really feel like when we are asking this question the most important factor, when finding the best yoyo, is really who you are, how good you already are at yoyoing, and also how much you want to spend. 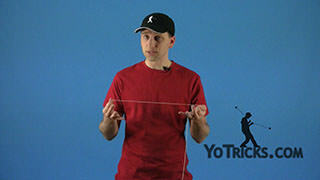 If you are a beginner an advanced yoyo is going to be terribly frustrating, it is not going to be so great for you. 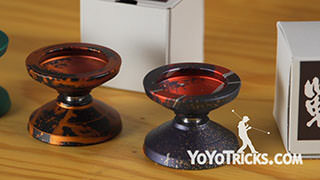 Also, if you only want to spend $20, then an $80 yoyo is a terrible idea. We are going to help you find the best yoyo that we can make available right now for you. We did do a previous buyer’s guide. That was our 2013 of the, we called it the Holiday Buyer’s Guide, since then we have had a lot of customers take our advice. We will let you know how that went. Some of those yoyos have also disappeared, and some new yoyos have showed up on the market. I am going to let you know about those, and go through everything again and give you our opinions about what we feel like is the best option that we can make available to you right now. 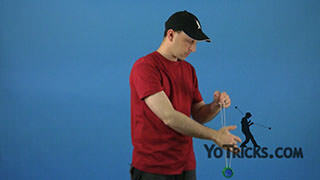 In the last video what we talked about, in the beginning, was what you need when you buy a yoyo. For example, what we recommended is that you get extra strings. That makes a lot of sense because yoyos they come with just one string, typically, when that string breaks you are basically out of luck until you get some more strings. 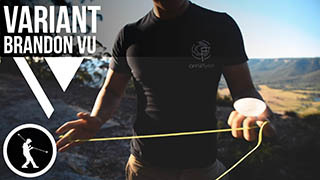 We feel like it is a good idea to get a bundle of 10 strings at least when you get a new yoyo. When that string breaks you can just put on a new one and keep going. Our customers seem to have taken that advice, and that is a really good way to go. Another thing that might be a little bit less intuitive, is that you also want to get some yoyo lube with just about any yoyo that you are going to buy – except maybe the beginner yoyos. That is because yoyos today, they have ball bearings in them, and bearings, if they are not properly lubed, they are going to wear out. Since we recommended lube in that last video what we have seen is that a lot more of our customers have been getting lube. What we have also seen is that the number of incidents of bearings wearing out has gone way down. 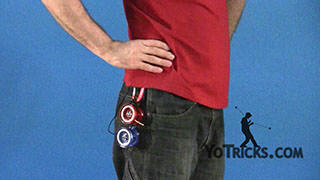 We really feel like this is a very good idea, this is something to consider, especially if you are going to get serious about yo-yoing, if you are going to get into learning tricks, just pick up some lube. The lube bottles they last pretty much the life of the yoyoer, they are pretty small, and you don’t need that much because yoyos are small, and it is just a really good option to get. 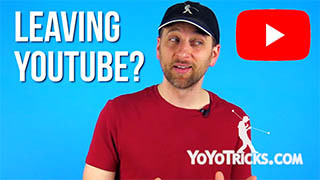 Now another thing that I want to make available, that has been coming up since the last video, is that because our users have been able to continue to yoyo and continue to learn tricks, there has been another thing that has been coming up. So I want to point that out to you right now. Yoyos today, like I said, they come with a string they come with a ball bearing, but most yoyos also come with what is called a response pad, or a brake pad, people call them different things. All it is is this little white ring, it is usually white, on the inside of your yoyo. What this does is it allows the yoyo to come back. 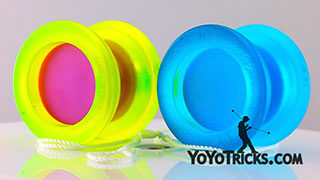 These response pads they come in responsive and unresponsive yoyos. Eventually these things wear down, usually they wear down in anywhere between 4 and 8 weeks if you are using your yoyo a lot. 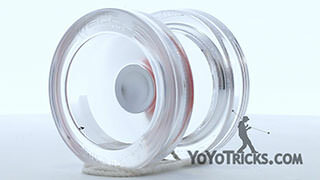 They may last a lot longer than that if you are not using your yoyo quite as frequently. When they wear out then your yoyo is not going to play as well and you are going to have to replace the. If you feel like you are going to be yo-yoing a lot, it would also be a good idea to pick up just one extra set of response pads, they are usually pretty cheap, just two or three bucks, and that will help you keep going, and you won’t have to wait for those to come in the mail again. All of these things are available on our store, If you go over into the store and go down to the drop down menu we have a section for strings, we have a section for Mods and Maintenance, if you look in there you will also see a place for lube and for response pads or brake pads. To help you find the right response pads we have added a new section to our store. For every yoyo we have a set of recommendation that tell you which response pads, lube, strings, and bearing we feel are the best for that particular yoyo. We will also have a link, in many of our yoyos, to a kit that include various items that will make learning how to yoyo with that particular yoyo as easy as possible. Let’s get around to the yoyos. Last time that we recommended yoyos, we broke it into 5 different yoyos. We are going to do the same thing today. The first yoyo we are going to recommend to you is for the absolute beginner, this particular section of the market it doesn’t really change too much. 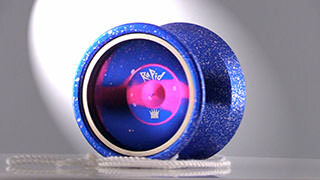 There are some yoyos that have been on the market for a long time and they are really fantastic. We feel like the one that just rises to the top for someone who has never ever yo-yoed before is the Fast 201. The reason we like the Fast 201 so much for beginners is because if you open it up you will see there are these little teeth on the inside. What these are for, is they allow the yoyo to spin free, but when you want the yoyo to come back, it comes back a lot easier than other yoyos, and it doesn’t really require a lot of maintenance. I suppose that you could lube the bearing in it, but you really don’t need to. 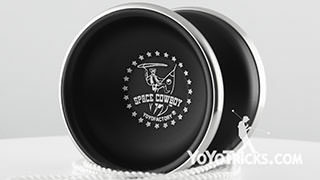 If you are a beginner, chances are you are not going to be throwing the most powerful throw, and we have found the bearings in the Fast 201, they really last a long time, and by the time you are ready to graduate to a new yoyo the yoyo is still going to be working fine. It is a low maintenance yoyo, it is very easy to use, and it just makes all the beginner stuff so much easier without holding you back too much. We think our customers have been very very happy with this, we just think it is a very good option. The second type of customer is someone who has yo-yoed a little bit before, but never really learned tricks. So maybe they have learned how to throw the yoyo down, get it back up. Maybe they have learned around the world and some really basic stuff, but now they are thinking, I really want to get a yoyo that can help me learn tricks. So instead of calling that person a beginner, we are going to call them a starter. We have a whole section on our website on our website devoted to starter yoyos in all the different play styles, so you can go through there and get a feel for what the good starter yoyos are. For us, what we feel like a good starter yoyo is that it is not going to hold you back from learning tricks, but it will also take you into the more advanced tricks. Last time what we recommended was the YoTricks edition ONE, we still think this is a great option, especially if you get it in the Unresponsive Kit. The Unresponsive Kit comes with a bearing which will help you get into unresponsive yoyoing, which is the more advanced style. 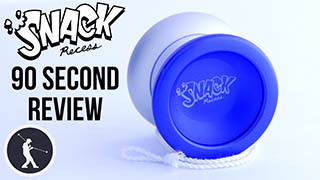 Since the last video came out, a new yoyo has come onto the market. It is called the Sage, this is actually one that we had a hand in. 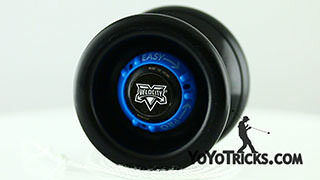 This yoyo is made by YoYoFactory, the same company that makes the ONE. We were talking to them, and we had an idea for what we wanted out of the perfect starter yoyo. We put this together with them, and we think it just hit the nail on the head. If you compare the Sage to the ONE what you are going to notice is that it is a little bit bigger, it is a little bit bigger in all its different dimensions. What is nice about that, is that it is going to make getting the yoyo onto the string a lot easier it also makes certain tricks like this, where you are doing your flips, it gives it a little more momentum so it sleeps a little bit longer, everything it does just a little bit better than the ONE, which we were already very satisfied with. We just think this is a great option. 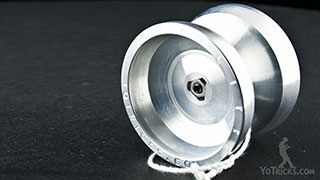 Because it is a starter yoyo, we also wanted it to be upgradeable. 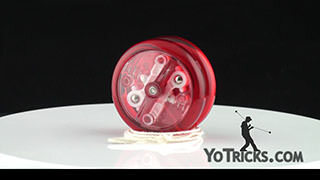 If you open up the yoyo and look on the inside, what you will find is that it has a thin bearing that is included in it. You can also remove that bearing and then put in a wider bearing so that you can get into unresponsive, or more advanced play. When you set the yoyo up like that it plays fantastic. We actually have the Sage in two different packs. One of them we call the Starter Pack, and this is for somebody who is just starting to learn tricks. In the Starter Pack the yoyo is setup to play very easy. We put thick lube in there so the yoyo will play very responsive and you can learn all of these tricks, and you can also learn all of your basics with your string tricks and things like that. We also have another pack that we call the Pro Pack. What that has is it includes the wide bearing that I told you about, it also includes some thin lube for that bearing which will protect it. The Pro Pack is for somebody who has already been yo-yoing a little bit. Maybe they already know a couple of string tricks, and they are ready to get into advanced, or unresponsive, play. We think the Sage is not only a great option, but it is also one of the least expensive options that are out there, especially when you are thinking about a yoyo that plays this great. We would definitely recommend that. The rest of the yoyos, these are just going to be the more advanced yoyos. We are going to assume that you are already into unresponsive yoyo, that you already know what a bind is. In the last video what we recommended to you for a yoyo that was under $50 was the Shutter. The Shutter is still on the market. It was gone for about a month, but we were able to bring it back, so we will try to keep that available for you as much as we can. 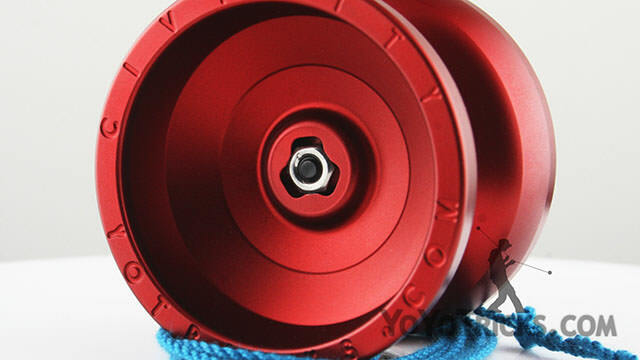 The Shutter was actually the yoyo to win the National Yoyo Contest in 2013, so you know it is a really fantastic yoyo. So far our customers have really really loved it. 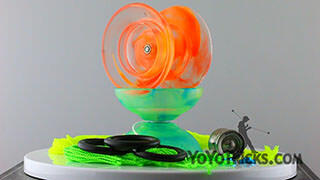 We are really happy to be able to make this yoyo available to you again. The newer Shutter models come bead blasted, which means they are going to grind a little bit better than the old ones we made available to you, so it is just all around a fantastic product. If you want to move up from there, and you are thinking you are really serious about yoyoing, and you are getting to a point where price just really isn’t an option. You just want to know, What is the best yoyo? 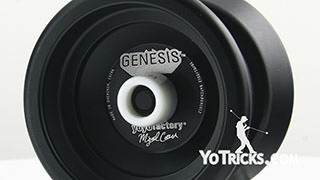 Since the last buyer’s guide, the yoyo we recommended, which was the Genesis with Hubstacks, which is a yoyo that we still really like, that yoyo is no longer available. It is actually pretty normal in the yoyo market for really great yoyos to just disappear and be replaced by other ones. We had to kind of look around. And actually, since then we have released our own yoyo which we call the Civility. I know what you guys are going to be thinking. 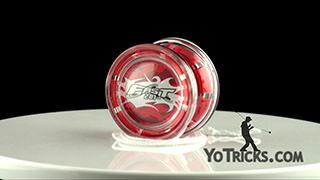 You are thinking, you guys just released your own yoyo so you are just going to tell us that it’s the best one. Okay, we will. Actually, when we designed this yoyo we had something very particular in mind. 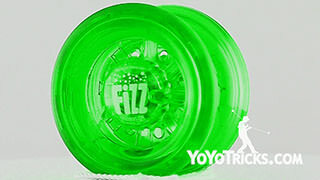 We wanted a yoyo that was going to be great for learning, and also great for making new tricks. What we did is we started with what we call a competition design. This is a yoyo built for competition, and then we added a little bit more weight around the edges and we also gave it a bead blasted finish so that it would be great for your grinds and different tricks like that. What we have found is that, as we have been playing with this yoyo, it is so stable and it is so powerful it spins for a very long time, that when you are working on tricks that you are unfamiliar with, or if you are getting into new territory making up your own tricks, that the extra stability really makes a big difference. If you are really into making up new tricks, or if you are still working on powering through the tricks that you have been learning, we think that this is just a fantastic option. We have been making all of our trick videos with this lately, so you can get a good feel for what the Civility is capable of, and we really think that it is a great way to go. Now we didn’t want to leave you hanging, we wanted to be able to recommend someone else’s yoyo to you as well. 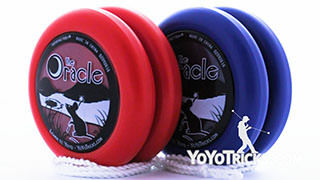 We have been trying all kinds of yoyos from all kinds of different companies. 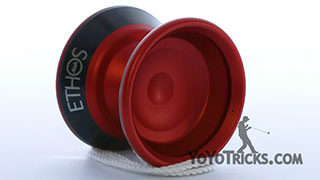 What we finally settled on was this yoyo right here. This is the Prodigy by Yomega. We feel like if you are really into competition, if you want a yoyo that plays fast but plays stable just all around, hits all the marks, you really just can’t beat the Prodigy. In some senses it is just a plain yoyo in the sense that it just does everything a yoyo should do. We feel like that is exactly what a yoyo should be. This yoyo has a very very smooth finish, we were actually very surprised when we touched it and started working on tricks with it. It is super comfortable to hold in your hands. It plays very fast, but it does not play so fast that you feel out of control. I don’t know how they struck such a good balance with this yoyo. We are happy to make this available to you. 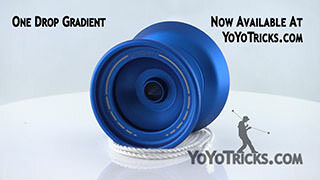 Another thing to note, if you have been yo-yoing for a while, is that the Prodigy is made by One Drop, which is one of the most respected companies in the United States who makes yoyos. We can attest, we have tried quite a few of these and they are all made to the highest standard, so we are pretty excited about being able to make these available to you. Those are our recommendations right now. 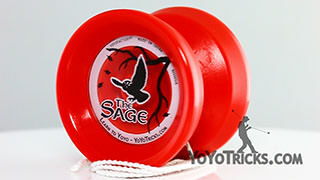 The Sage yoyos that we talked about, the Starter Pack is $20, the Pro Pack is $25. The Shutter yoyo is easily our favorite yoyo under $50. We have also let you know about the Civility and the Prodigy, if you just want to push your skills to the extreme and you just want some yoyos that you know you will be happy with when you try them. We also wanted to remind you that we do have kits and packs. For all the different yoyos that we sold here. We already told you about the ONE Unresponsive Kit, that is a great option, and the two Sage packs. The Shutter, we also have a Pro Pack that comes with an upgraded bearing. With the Civility and the Prodigy we do not make those available in packs because we assume that if you are going to be getting those yoyos you have already yo-yoed before, chances are you already have your lube, you already know what kinds of bearings you like and things like that. 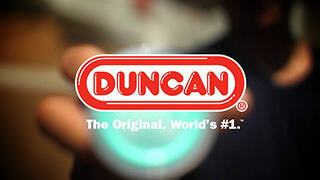 If you do not have lube definitely pick some up with those yoyos, because that will help a lot. 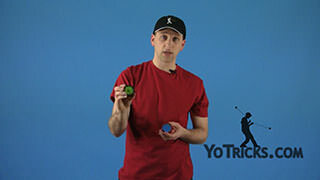 If you have any questions you can post those in the comments on Youtube, or you can email us on YoYoTricks.com. We would love to hear from you and hear how things are going. 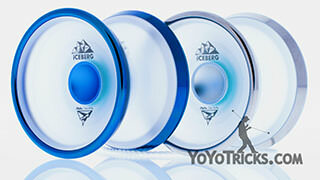 So this is the 2014 Winter / Spring edition of the Yoyo Buyer’s Guide for YoYoTricks.com.